Another donor who has played an important role at the College over the years is the Hans Hoheisen Charitable Trust (Managed by Nedbank Private Wealth). During a recent visit to the Lowveld, where the Trust was conducting project site visits, they met up with the students enrolled on the Youth Access: Conservation and Environmental Education Bridging Programme. The Hans Hoheisen Charitable Trust has supported this programme since 2010 when it funded the course pilot. The Youth Access Bridging Course has since become very much part and parcel of the College’s course curricula. The course is aimed at historically disadvantaged school leavers, who have shown an interest in conservation, and are given the opportunity to bridge into the sector with a view to finding employment or obtaining the necessary credits for further study. During the visit, Mr Anthony Nicklin and Mrs Anne Emmett were also taken on a tour of the facilities following the new Phase II infrastructure development, funded by the German Development Bank, KFW. In showing Mr Nicklin and Mrs Emmett around, SAWC CEO Theresa Sowry mentioned some of the areas that fell outside of the scope of works and that were now slowly being attended to, as funding was made available. One of the biggest requirements is converting all the thatch roofs to Harvey Thatch Tile. Apart from the poor condition of the roofing in the remaining areas under thatch and the need for aesthetic uniformity, the incentive to replace the thatching is also as a result of the substantial reduction in insurance costs given the fire risk, which in turn presents a solid investment into infrastructure and services. What followed was a speechless CEO, who could not express in words her sincere and heartfelt thanks to the Hans Hoheisen Charitable Trust, who agreed to assist by funding the replacement of the thatch roofing with Harvey Thatch Tile on one of the primary walkways down to the dining area. 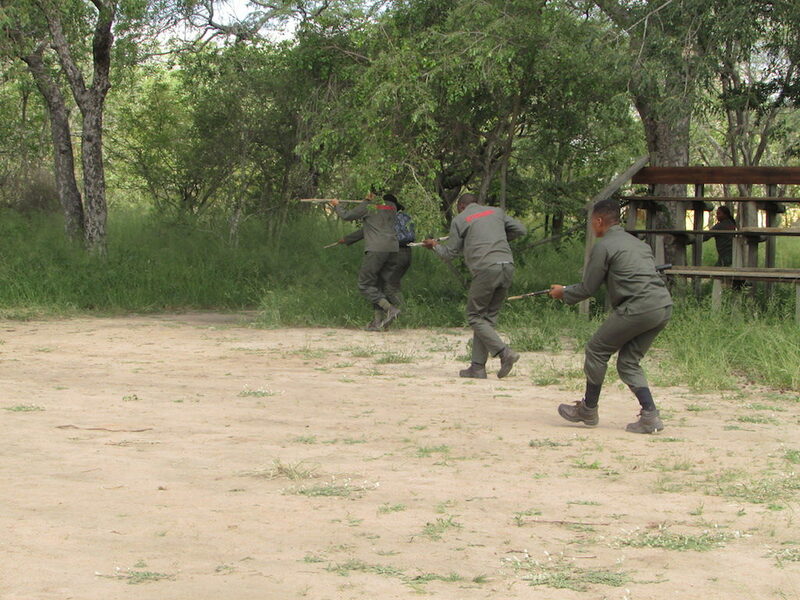 The Youth Access: Conservation and Environmental Education Bridging Course students pictured during a “mock” training display for the visitors from the Hans Hoheisen Charitable Trust (Managed by Nedbank Private Wealth) who has this year sponsored six of the students on the programme.